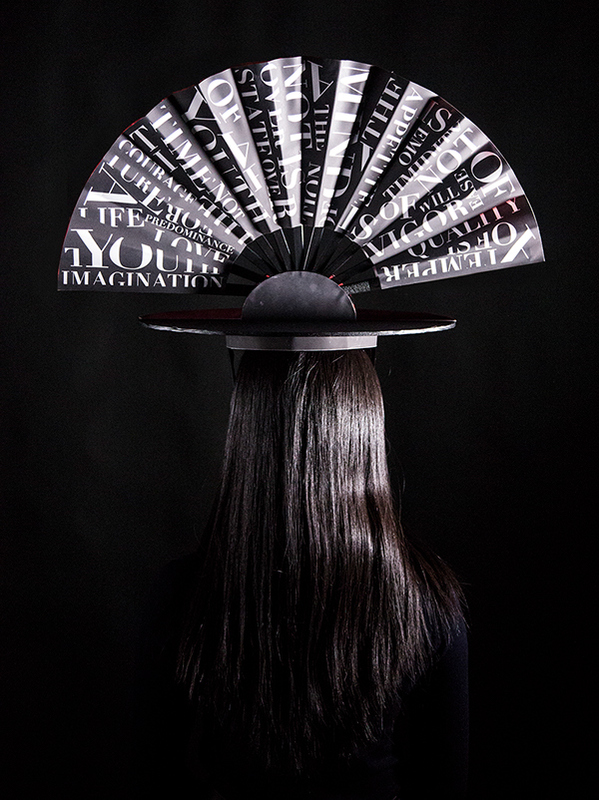 POEM HAT is a hat designed to communicate my culture and life experience from two countries. 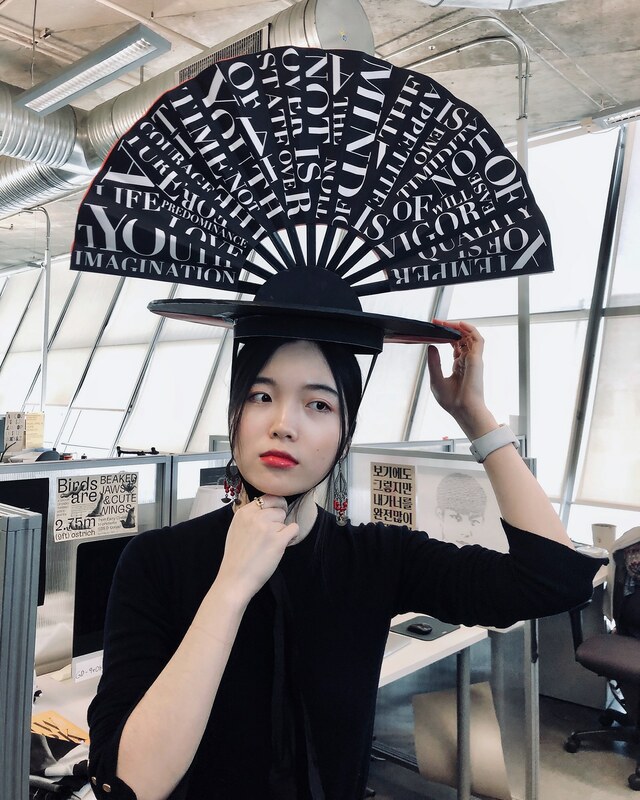 I was born and raised in a traditional intellectual family in China. 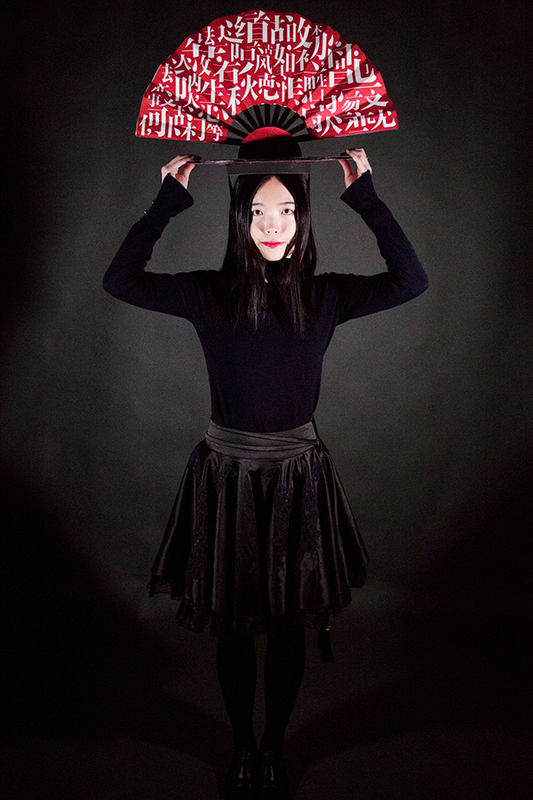 At the age of 20, I left my hometown and started a new life studying in the United States. 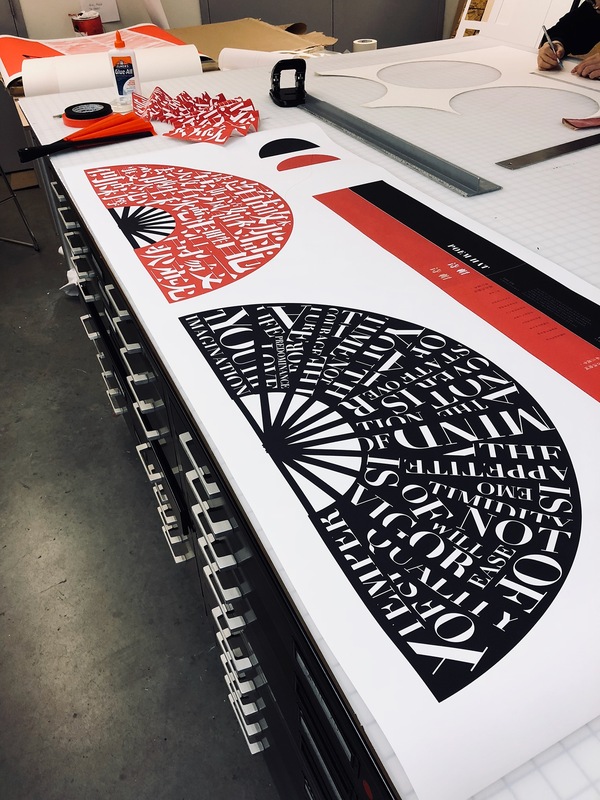 As language is an essential part of culture, I juxtapose my favorite Chinese and western poems to show my experience from two cultures. 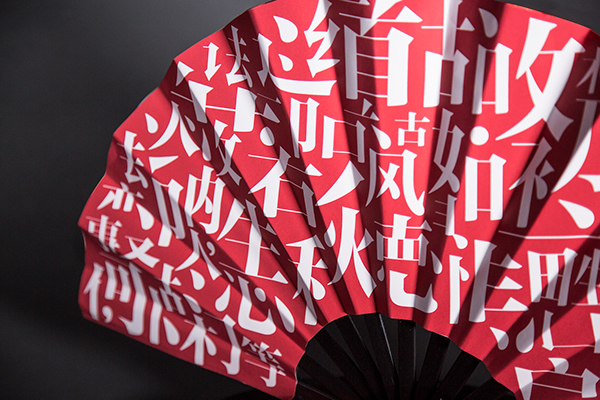 The folding fan is a symbol for Chinese scholars who often wrote poems on a fan to show their knowledge and beliefs. 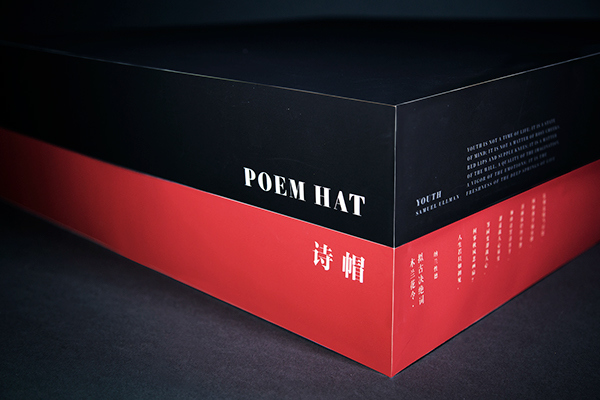 I put both poems and their authors on the hat box so viewers can better understand the meanings of the broken typography on the fan. 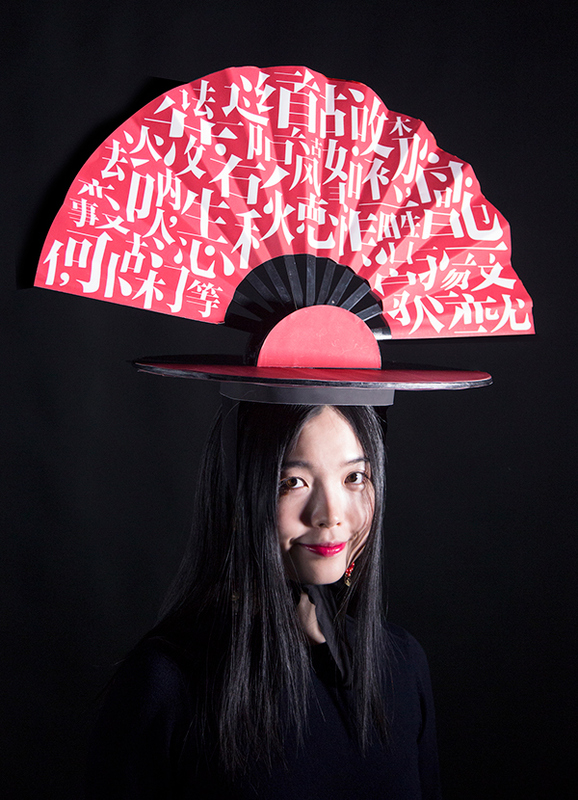 The hat can be divided into two pieces: the fan, and the base. 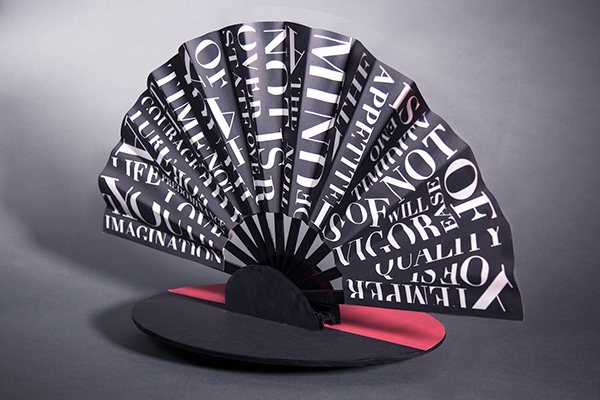 The fan then can be folded to fit in the box. 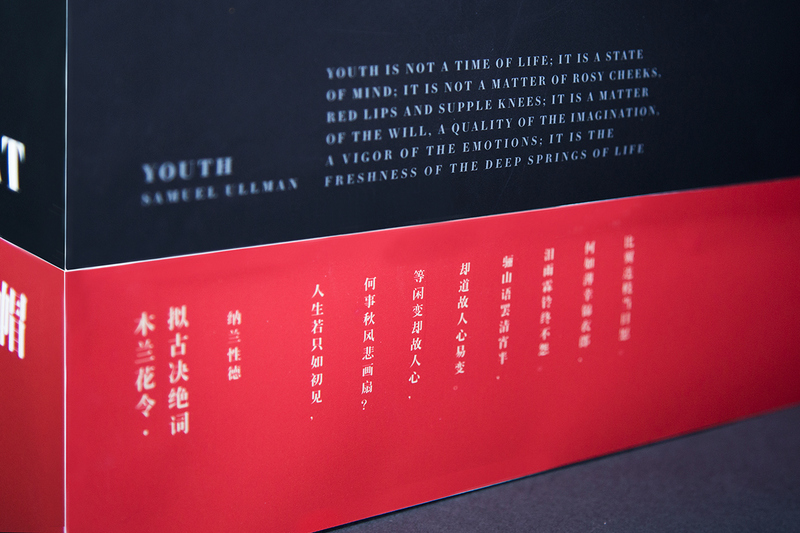 It is not a matter of rosy cheeks, red lips and supple knees. it is the freshness of the deep spring of life. For the fan forsaken in Fall? 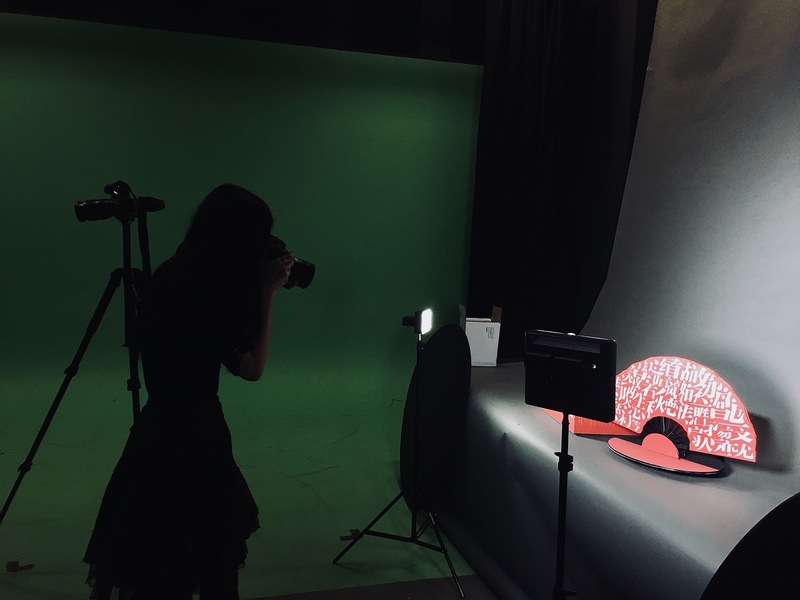 "The Fickleness is to blame." The man in fine robes cloth'd. "May we be a pair of Birds,"
Yet he finally failed to keep. 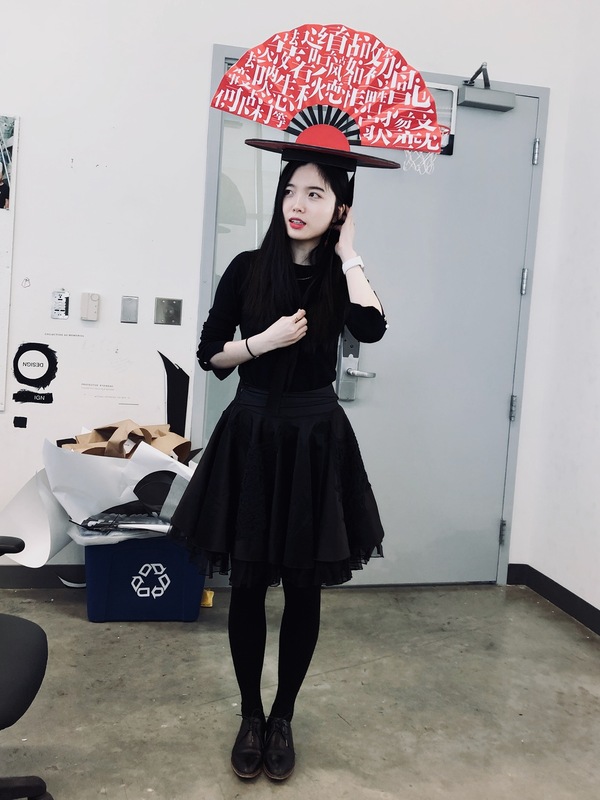 “Poem Hat” is a hat designed to communicate a culture that I belong to. 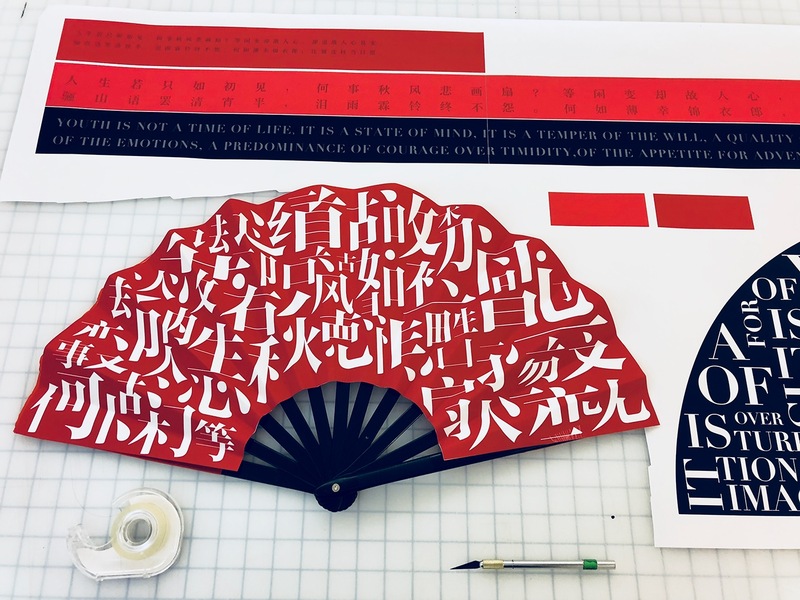 I use a folding fan as a form combined with Chinese and English words to represent my culture and life experience from two countries.